It was a cool day, so the inner tubes at the water park were patron-less. 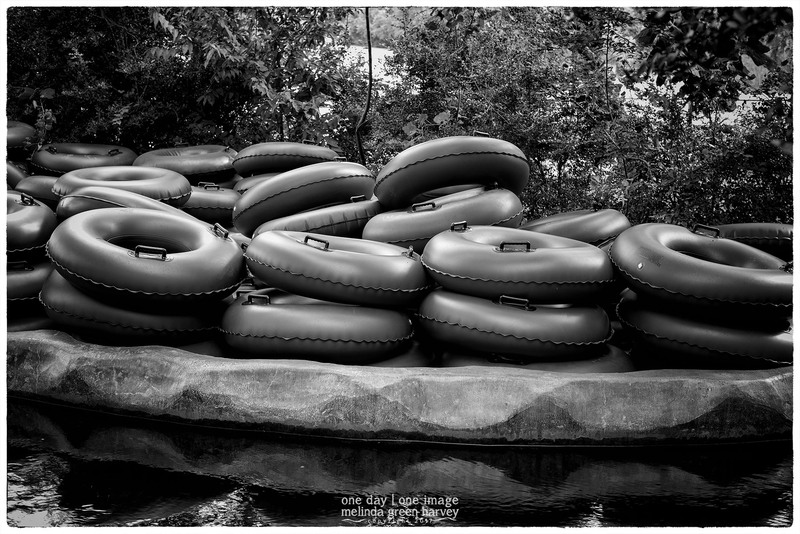 Posted on January 8, 2017, in Photography and tagged 365 photo project, 365 project, black and white photography, Hyatt Regency Hill Country Resort, lazy river, Leica, melinda green harvey, monochrome, one day one image, photo a day, photography, postaday, san antonio, san antonio texas, texas, water park. Bookmark the permalink. 4 Comments. The water is heated (or, more accurately, “heated”) so theatrically, those tubes can be used year round. Thanks. I am fond of this photo, and that satin reflection is one of the reasons.